Hey guys! 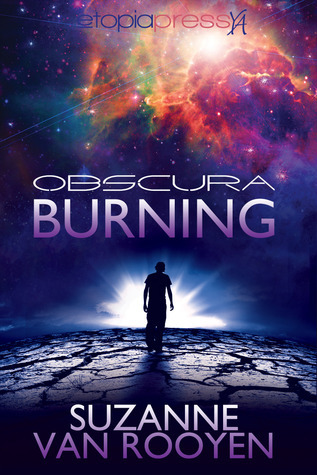 I'm excited to be part of the book blitz for Obscura Burning organized by Giselle from Xpresso Tours! Below you'll find the book cover, a description, a little bit more about the author, an interview with the main character, Kyle, and a giveaway! The world's going to end in fire…and it's all Kyle's fault. Which one? That’s the problem. In a perfect reality I’d be going off to Rice to study art and literature and I’d start doing my own comics and become an underground sensation and have kids dressing up as my characters on Halloween - that’s what I want; that’s what I probably don’t deserve. That the world will end because of me, that it’ll be my fault that everyone will end up dead. I think maybe I fear the world not ending even more, fear me being stuck in one of these crappy realities and not able to do a damn thing about it. 3. Are you presently in love, or do you hope to find someone special? I thought I was, thought I loved Danny but now I’m not so sure. Dan is special but I think he deserves better than me, someone who isn’t afraid to be with him, to kiss him and dance with him in public. 4. Sum up your life in the last few weeks in 150 words or less. Can I use four letter words? No? Horrific, confusing, devastating, frustrating, unbelievable, terrifying – Do you really need another 144 words? The world’s gone crazy, man. And I think it’s all my fault. 5. If you could change one thing of your past would you? If so, what would it be and why? I’d change everything. Change what I said to Danny, how I treated him. I’d change how I dealt with the parents too. Also, I’d like to go back to that very first fire, to that moment when I lit my first match and just not do it, just never fall in love with flames. 6. If you could be any animal, what would you be and why? That’s easy, a wolf – just like my name. Why? Because wolves do just fine all by themselves. They’re badass and not afraid of anything – I wish I could be like that. Suzanne is a freelance writer and author from South Africa. She currently lives in Finland and finds the cold, dark forests nothing if not inspiring. Suzanne is the author of the cyberpunk novel Dragon’s Teeth (Divertir), the YA science fiction novel Obscura Burning (Etopia) and has had several short stories published by Golden Visions Magazine, Space and Time and Niteblade. Niteblade nominated her short story Where dreams are grown for the Pushcart Prize. Her non-fiction articles on travel, music and other topics can be found scattered throughout the Internet. 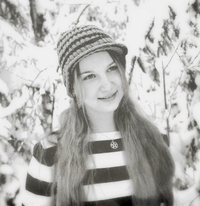 Although she has a Master’s degree in music, Suzanne prefers conjuring strange worlds and creating quirky characters. When not writing you can find her teaching dance to ninth graders or playing in the snow with her shiba inu. Suzanne is represented by Jordy Albert of the Booker Albert Agency. And now, on to the amazing giveaway! It's open INTERNATIONALLY and ends on January 31, 2013. Check the rules in the rafflecopter form. Only one entry per person / household. With the giftcard I would buy Obsidian by J.L. Armentrout. Thank you for the giveaway!